If you’re looking for the perfect pair of men's waterproof boots for that job you’ve been work hard on, then the Timberland PRO Men's TB0A1KRM 214 Gridworks 6 Inch WP Work Boots, with their brass hardware, are the best choice for you. These are not your dad’s ... (see full details) (see specifications) #TB0A1KRM214. If you’re looking for the perfect pair of men's waterproof boots for that job you’ve been work hard on, then the Timberland PRO Men's TB0A1KRM 214 Gridworks 6 Inch WP Work Boots, with their brass hardware, are the best choice for you. These are not your dad’s work boots. With their nice-looking, smooth leather exterior and stylish stitchwork and black toe, these Gridworks work boots are everything you want in the looks department. Not only that, but they’re loaded with features that will make you buy a pair immediately. We know it! What do you think is the most important aspect of a good work boot? Take a guess. Yes, it’s the safety features. After all, there’s not even a reason to buy boots for work when they don’t even keep you safe. These Timberland PRO boots are equipped with electrical hazard protection. The electrical hazard protection meets ASTM F2412-11, ASTM F2413-11 and ASTM F2892-11 standards for your protection. This is important because it means that the boots provide protection against the hazards of stepping on live electrical circuits, electrically-energized conductors, parts, or apparatus. The soft toes have rubber toe protection overlays and keep you safe. 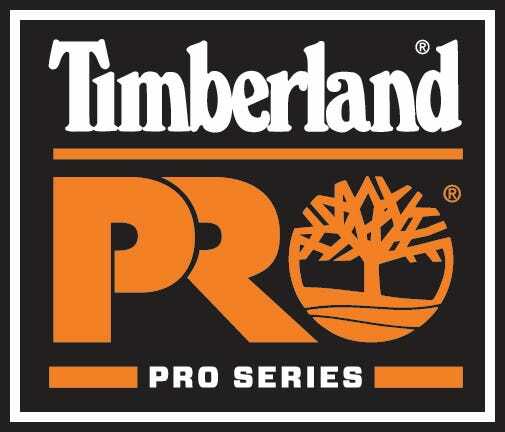 Also, the Timberland PRO Men's TB0A1KRM 214 Gridworks 6 Inch WP Work Boots are made with anti-fatigue technology. This anti-fatigue technology absorbs shock and returns energy at key zones of the foot for comfort. There are molded, inverted cones which give you support, collapse and return energy in key pressure zones, and the cone structure uses less material so the boots are lighter. These men's WP boots weigh about 911 grams, or 2 pounds each (size 9 average). Your men's footwear should feel light, yes, and they should feel like you’re barely wearing anything on your feet. Okay, not that light, but they should feel comfortable, right? This design from Timberland PRO has plenty of comfort-inducing features, like the steel shanks. These seemingly forgettable features make every step stable and easy. The best comfort feature is the waterproof membrane in each boot. These membranes keep your feet drier and deliver superior waterproof protection like no other style. They also provide blood-borne pathogen protection. No more soggy men's leather boots at the end of the day! These have waterproof leather that has been specially treated to give it waterproof properties, causing liquids to bead up and shed from the surface. The moisture is essentially wicked away from the boots. The last thing you want is odor-infused boots. Mesh linings with antimicrobial treatments have been added to prevent and control odors with this in mind. The Timberland PRO boots look great because they’re made with premium full-grain waterproof leather uppers, giving these beauties a nice presentation while keeping your feet dry from the elements. The Goodyear Welt construction on the outsoles is the best in welt construction. The rugged outsoles are flat wedge-shaped and feature all-weather TPU (thermoplastic urethane), an alternative to steel. They are also oil-resistant per SATRA TM63, heat-resistant up to 248 degrees Fahrenheit, and resist abrasions. Timberland PRO Boots: Men's TB0A1KRM 214 Gridworks 6 Inch WP Work Boots is being added to your cart.